About | Imagine Injection Inc. Imagine Injection, Inc. - Company Profile. 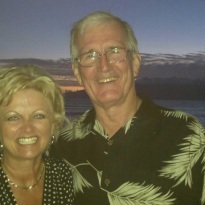 Bob Ream Sr., Owner and President of Imagine Injection, is well known in the automotive and racing industry. 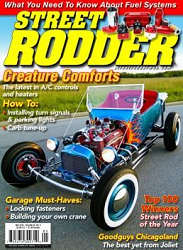 He gained knowledge of electronic injection systems through his college education in Electronic Technology and by many experiments, of which included a 1979 2WD Blazer. Bob took the 1979 Blazer and applied everything from TBI to multi port, mass air flow for speed density. With a large amount of oval racing experience as a driver and engineer, Bob kept abreast of many induction systems. In the early 1980's he had a mail order business that focused on converting carburetors to methanol. 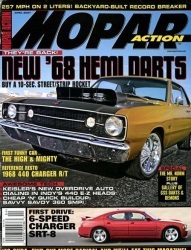 In 2009, Bob and Bev completed their 1967 Dodge Dart with 6.1 Hemi 6 speed Viper Transmission, 10" altered wheel base with injection and stacks through the hood. In 2011, Bob and Bev completed their 1964 Ford Falcon. It is altered front and back and powered by an all aluminum 427W with Imagine Injection Stacks through the hood. 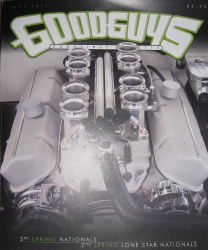 The Imagine Injection unit has appeared in various magazines such as Street Rodder, Mopar Collector Guide and numerous covers of the Good Guy's Magazines.